Although installing new bathroom sink and tub fixtures does not exactly qualify me as a bonafide plumber, it has certainly made me appreciate the skill and patience required to do even this mundane plumbing task. 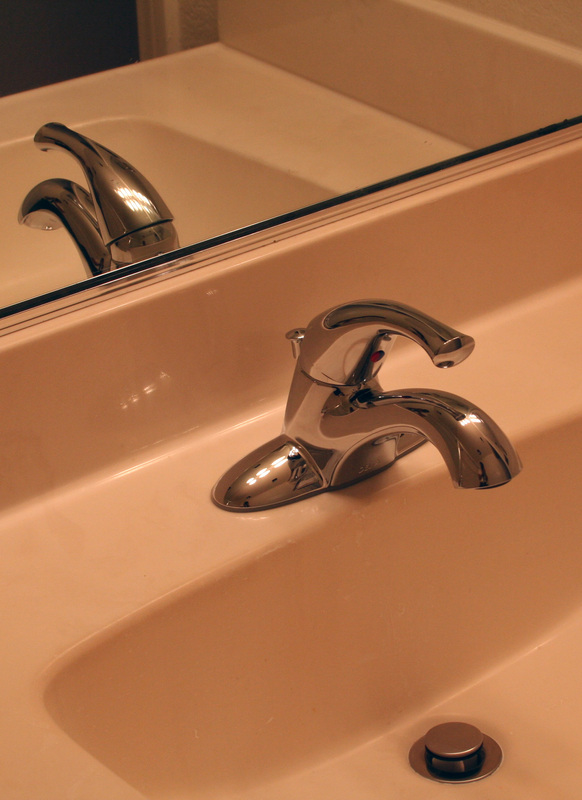 That beautiful sparkling sink faucet and drain took me the better part of a day with my shoulders wedged into the cupboard below and my head and arms contorted for what seemed like hours, undoing old corroded connections and assembling new ones. I’ve never installed a sink faucet before; this was my first. Always left “that stuff” to Bear, the handyman extraordinaire. But he’s not available for this condo renovation project so I figured I could learn how to do it myself. And I’m pleased to say it turned out very well. The tub fixtures, however, are another story. (Notice the use of the present tense and lack of a photo of the finished product.) I knew they would be, but I entered the den of snakes anyway, and have some bites to prove it. I bravely bought the set to match the sink faucet, and discovered upon trying to install it that they aren’t all universal mounts. That is, the new faucet handle wouldn’t just fit right onto the existing valve. It was pretty obvious when I got all the parts laid out and took the backing plate off. What really had me scratching my head though, was the valve body included in the box – I thought, surely I don’t have to replace this whole thing, do I? So I called a plumber. The ad in the Yellow Pages said “Free Estimates” so I thought, what the heck, let’s find out how much it will take to get it done right. Plus, I wanted to know how much it would cost to have the tub drain replaced, as I had heard that is a difficult job and well worth hiring a plumber for. A mountain of a man with “Joey” embroidered on his extra-large blue shirt arrived in about 45 minutes and I briefed him on my dilemma. Really nice guy. He complimented me on the sink faucet installation, and then gave me a huge education on “real” plumbing. Basically, Joey said, we can do anything you want. But replacing that Moen faucet with a Delta faucet would mean tearing out some stuff, which could be done, but it’d be pricey. Pricey like, $900+. He suggested I go to a local supplier (great tip) and purchase a Moen “trim kit,” taking the cartridge with me to make sure it fit. He even told me how to take the cartridge out. Then he quoted me $225 per tub for him to install the trim kit, which includes shower head, tub spigot, and faucet assembly. $375 if I didn’t buy it myself. I’m pretty sure he knew he was giving me all the information I needed to finish the job myself. It was a friendly 15-minute conversation and yes, I asked a bunch of questions but he offered up a lot of detail I didn’t pump him for. I thanked him for his time and said we would think about it and give a call back on Monday if we decided to have him do it. On the way home I stopped by Ferguson Supply as he’d suggested and picked up the trim kit to install the next day. Well, the removal and replacement of the cartridge wasn’t as straightforward as Joey had made it sound. Long story short, the new one didn’t go in right and the danged faucet wouldn’t completely shut off after I got everything assembled. Then when I went to pull the cartridge back out, it wouldn’t budge. Crap, I thought. That’s not right, it should slide right out. But it only came out halfway, and I didn’t know if I just needed to use a little more muscle or if tugging harder would really mess things up. I was beginning to think I might have to pay the guy that $225 just to get me out of my fix. But first I called Bear. He eventually came over and, as I hoped, tugged a little harder (with 200 pounds behind it,) and the cartridge popped right out. Sure enough, it was damaged – the rubber seal at the back was torn and half missing. We decided I should have greased it before inserting it; a minor detail Joey didn’t share. I was just relieved it came out without destroying anything internal and I hadn’t messed things up too much. I picked up a replacement cartridge last night and today I’m ready to try it again. I will admit, it would have been much easier to just pay the quoted price and have it done without the headache. I thought I really screwed things up there for a while, which was not a good feeling. Of course I wouldn’t have learned anything about replacing shower fixtures, but I would have skipped a lot of anxiety and hassle. Would it have been worth two-and-a-quarter? 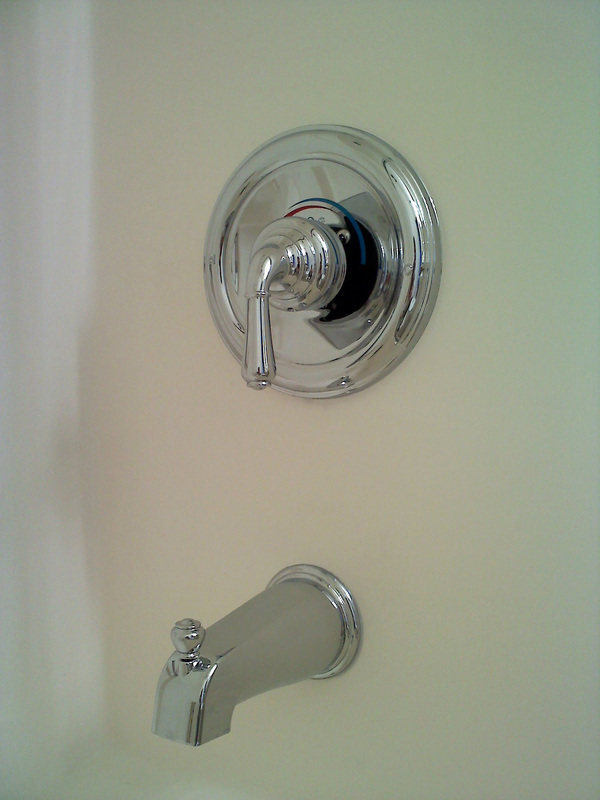 I thought that sounded a little pricey, but the shower faucet doesn’t work yet and I won’t rest easy until it does. We’ll see if I pass the test today.